Congratulations to Cathedral Catholic on a great football season winning the Southern California championship and coming up just short in the state championship game. Palomar League Basketball for both boys and girls as of December 31, 2018. 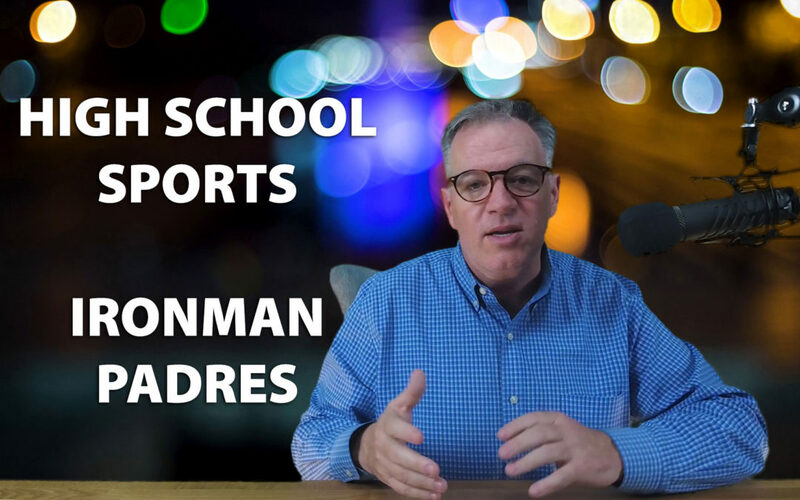 Scores, updates and comments on the Poway Titans, Adam Sevier, Lucas Shepard, Rancho Bernardo Broncos, Del Norte Nighthawks, Mt Carmel Sun Devils, Westview Wolverines and the Mission Vista Timberwolves. Union Tribune Top 10 Poll results. Coverage of the Ironman 70.3 held in December in Indian Wells and La Quinta CA, including the performance of Poway Titans alumnus Shannon Riley. 1.2 mile swim, 56 mile bike and 13.1 mile run totaling 70.3 miles. Tremendous, driven athletes put on a show. Great energy! Thoughts on San Diego Padres General Manager AJ Preller and the team’s activities this off-season. Why such little action at the MLB Winter Meetings? Thoughts on the Ian Kinsler signing. I also have some fun and make my own 2019 25-man roster projection including signing Manny Machado and packing major league and minor league players in a deal for a #1 starting pitcher like Noah Syndergaard from the New York Mets, Marcus Stroman from the Toronto Blue Jays or Corey Kluber from the Cleveland Indians. Plus positive shout outs to Poway Titans alumni Alex Dickerson that just resigned with the San Diego Padres organization and Connor Joe that was selected by the Cincinnati Reds in the MLB Rule 5 draft. Mixed feelings on the LA Chargers making the 2019 playoffs and hints of a #SanDiegoSportsCurse podcast in our future.